Fishing has been Shark Bay’s economic mainstay since the early twentieth century. It is a major source of employment and notable for the long-time involvement of Aboriginal people whose knowledge and skill have helped preserve traditional fishing methods and fish stocks. Shark Bay supports Western Australia’s major fisheries for prawns, scallops, snapper and western sand whiting. But it was not until the early 1930s when the first freezers were built that the industry was really established. Before then Shark Bay was too remote for the industry to be viable. In the 1930s when commercial fishing became an alternative to the fading pearling industry, Shark Bay fishers used their shallow-draught pearling cutters to net fish the Bay’s shallows and flats. The beach seining fishing technique used by local Aboriginal people incorporated a wealth of knowledge gathered over thousands of years and is still used today. A boat towing one or two dinghies anchors in the fishing area and some crew take the dinghies while another goes ashore to a good vantage point to look for fins, surface ripples or other tell-tale signs of schooling fish. 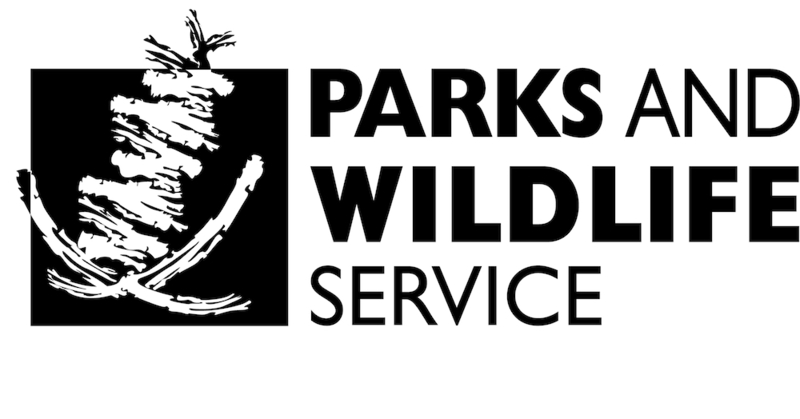 Experienced fishers can identify different species and the average size and weight of individual fish in a school. A school of snapper appears blue-black in the water, whiting looks brown, sea mullet looks silver, and bream have golden flashes. 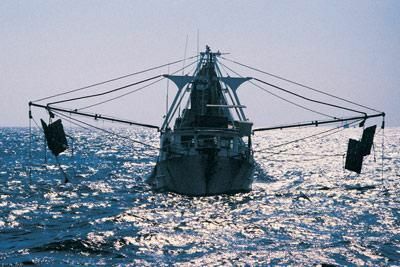 Once fish are sighted, a crew member jumps from a dinghy with one end of the net while the dinghies run the rest of the net around the school. Both ends of the net are then taken to the beach, working the trapped fish into the shallows. 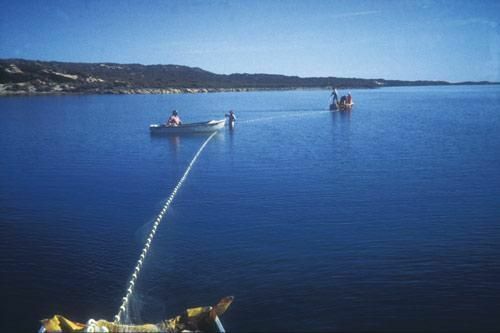 Shark Bay’s beach seine fishery targets mainly sand whiting, although bream, sea mullet, tailor and snapper are also prized catches. This is a limited entry fishery – fishing licenses cannot be sold or exchanged, only handed down within Shark Bay families. This ensures the traditional fishery is maintained and that fishers are careful to conserve fish stocks. Prawns, particularly brown tiger prawns (Penaeus esculentus) and western king prawns (Penaeus latisulcatus). Prawns have been fished in the region since 1962, with much of the catch exported to Japan, Taiwan, Europe and the USA. Saucer scallops (Amusium balloti) have been fished since the late 1970s with meat usually sold to Asian markets. Pink snapper (Pagrus auratus) is a relatively long-lived species that has been over-fished in the past and is now subject to strict bag limits. It is primarily exported as whole fish to Japan, Taiwan, Italy and the USA. Blue swimmer crab (Portunus pelagicus), a relatively new commercial harvest, is caught in Shark Bay’s northern waters. The crabs represent about 45% of the total catch in Western Australia and are mostly exported. Other commercial operators provide charter boat tours for recreational fishing. Like commercial fishers, recreational fishers must adhere to rules developed to suit Shark Bay’s ecology, species mix and fishing pressure.